Hi my name is Beth and i work at fusion on Mondays. I am currently in year 10 at Sir John Lawes doing my GCSE courses. I really enjoy working with the children and getting to know them. 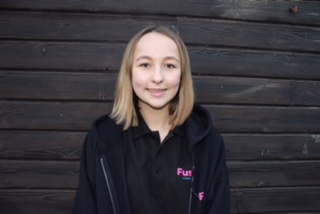 I have been involved in fusion all my life with going and it being a family business therefore i have lots of experience with the dynamic and setting of fusion. I also went to the grove nursery, infant and junior school. I love animals and enjoy walking my two dogs Reggie and Rodney who are half brothers with he same mum but very different dads. I hope to gain more experience with the children throughout my time at fusion and i already feel like i have a rapport with all of the children i see.